It's important you take the time to value your belongings. Many of us may appreciate the value of our possessions only when faced with a crisis, such as a fire or a burglary. And by that stage it could be too late. If, when a claim is made, you haven't got enough cover, an insurer can reduce the amount it pays out. But don't be tempted to overinsure - this will lead to paying higher premiums than necessary. The policy/ies must be renewed anually to maintain cover. Also, the level of cover should be regularly reviewed to ensure full cover is maintained. 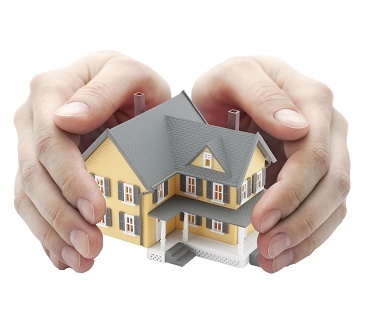 You'll normally need two separate policies to insure your home, one for the building and another for its contents. Both policies should provide cover for damage due to fire, lightning, explosions or earthquakes, theft or attempted theft, riots or vandalism, storms or flooding, subsidence, falling trees and moving objects (such as a car hitting your home). You'll also be covered for the escape of water from tanks, pipes, washing machines or dishwashers and leaking oil from heating systems. Buildings insurance covers the structure of your home (walls, windows, roof and so on) as well as permanent fixtures and fittings (such as baths, toilets, fitted kitchens). The amount of cover you need is the rebuilding cost of your home. This includes the cost of demolition (which may be needed after fire, for instance), clearing the site, and architects' and other professional fees. Contents insurance policies will cover the items inside your home, such as audio visual equipment, carpets, clothing, furniture, kitchenware, and a limited amount of valuables. Insurers usually apply limits for high-value single items, so specify the value of expensive possessions before you take out the cover. Contents insurance will usually cover you for the replacement of keys if lost or stolen, and damage to locks. You'll also be covered for the theft of cash from your home, up to a set limit. And it will cover your legal liability as occupier of the house, such as liability for injuries to visitors. Policies can also include accidental damage cover, but you may have to pay extra. This extends cover to include accidental breakages and damage to items such as hi-fis, TVs, computers and video recorders. If, when a claim is made, you haven't got enough cover, an insurer can reduce the amount it pays out. We work with many different companies throughout the UK. Some may be your local branch and others are National companies and we will search to find you the right one.